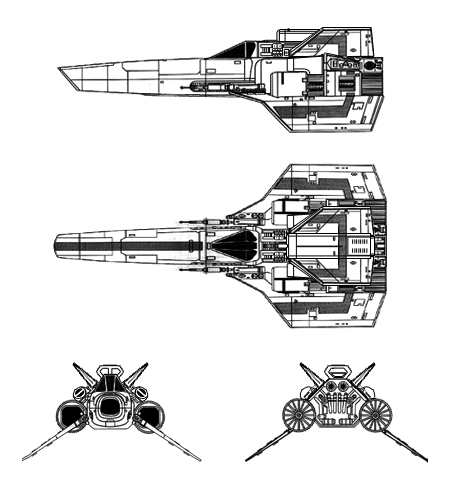 The "Viper Jet", as seen in the Caprica episode "Ghosts in the Machine". 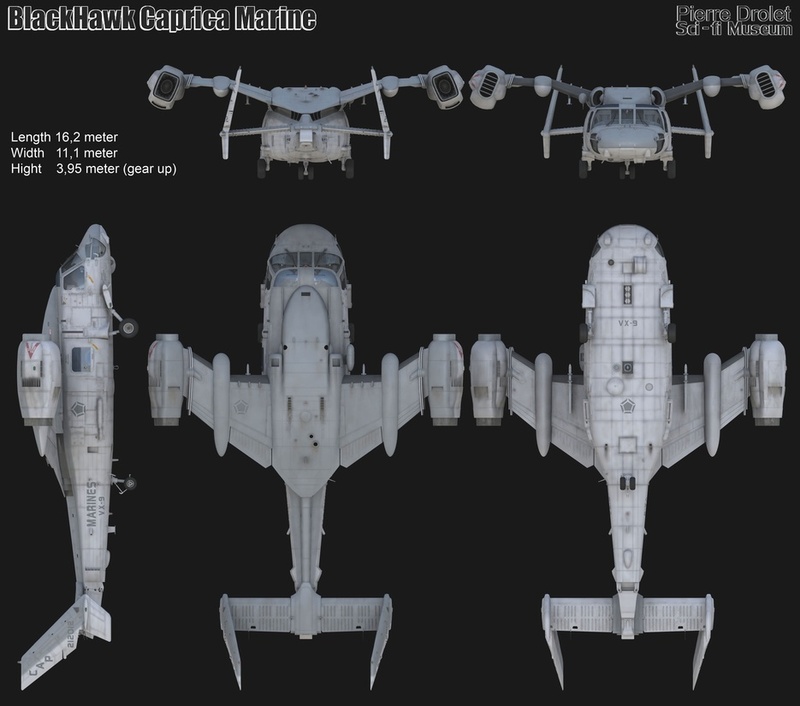 The "Blackhawk Troop Transport", as seen in the Caprica episode "End of Line". 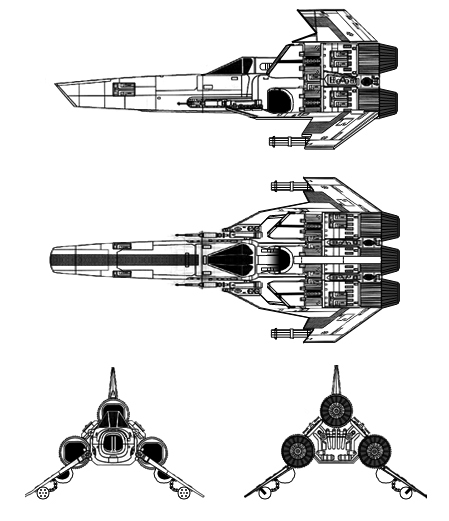 After an even longer break of 2 years, I've collected some more schematics of various ships, both official and unofficial. During this intervening time, a new one-off production appeared on the web and SyFy Channel named "Battlestar Galactica: Blood and Chrome", which was designed to be a "back door pilot" that could have possibly led to a new series based on the life of a young William Adama as he enters the service of the Colonial Fleet and his time turing the First Cylon War. Sadly, it doesn't appear as if the show ever took off, but it did yield a handful of interesting new designs. 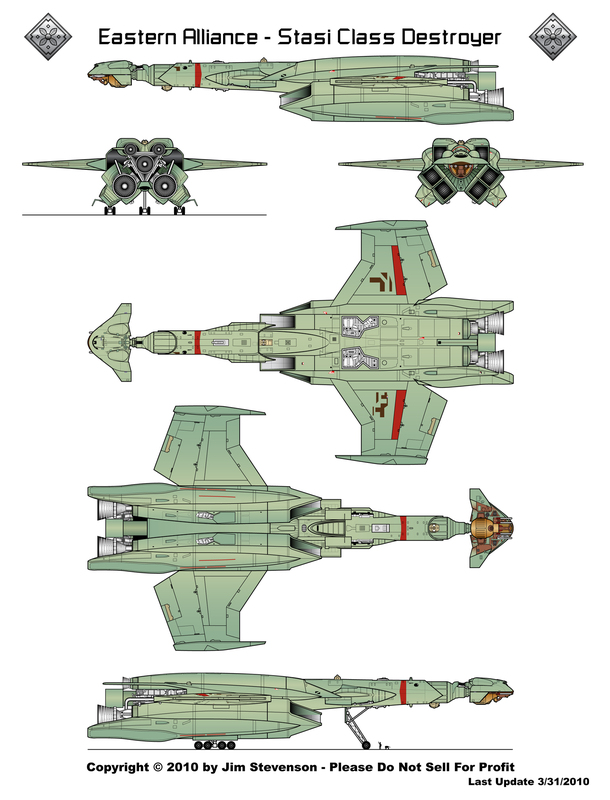 Here is the new release of BSG ships. 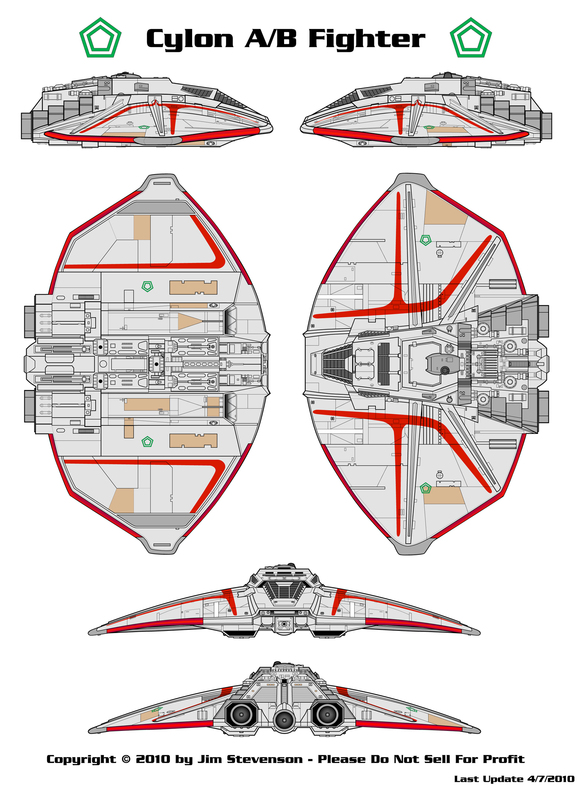 After over a year-long break, I've collected a number of new ships for this section, including some official designs from the Original Series along with Caprica, as well as some unofficial designs from Chris Reyes ("Atolm"), an extremely talented artist who does some real magic when it comes to organic-looking ship design sketches for both Colonial and Cylon alike. Completed the long-awaited Mk I Shuttle from the Original Series. 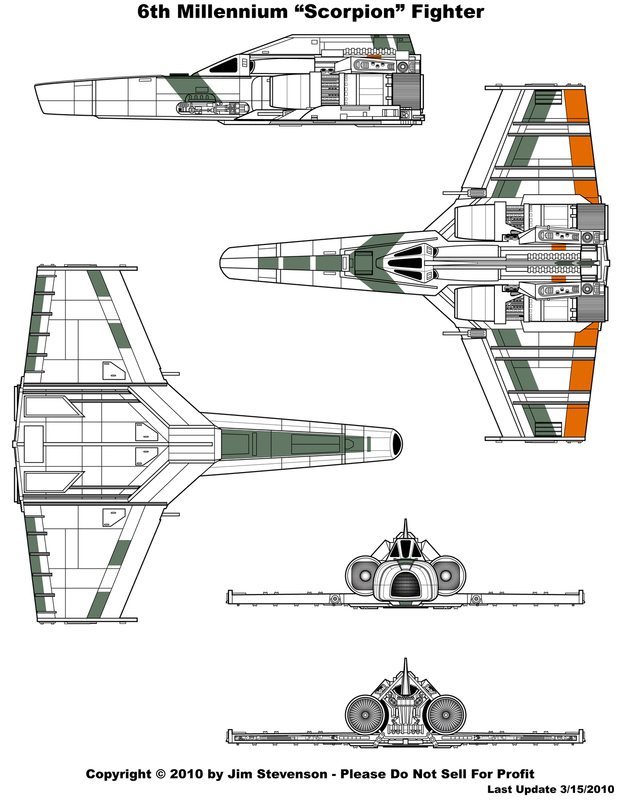 Just completed the upgrade to what could be the only "good" thing that ever came out of Galactica:1980, the Cylon A/B Fighter. I have no idea what A/B stands for - probably "Advanced Bomber" if I were to hazard a guess. Now, onto the TOS Shuttle. 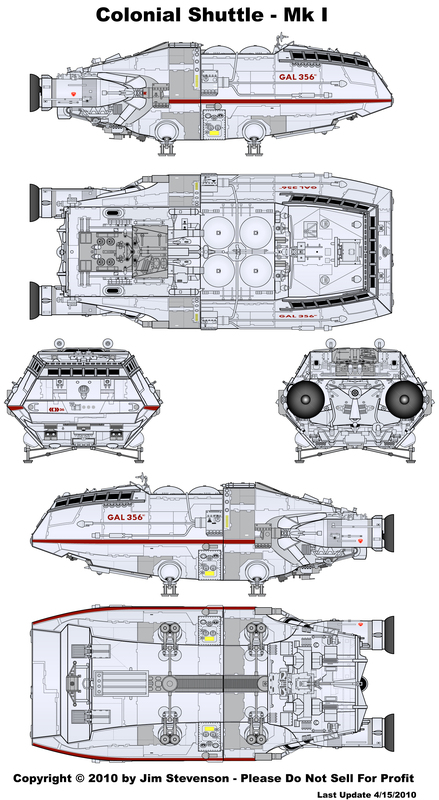 The next installment of high-resolution and high-detail schematics is now complete - the TOS Eastern Alliance Destroyer. 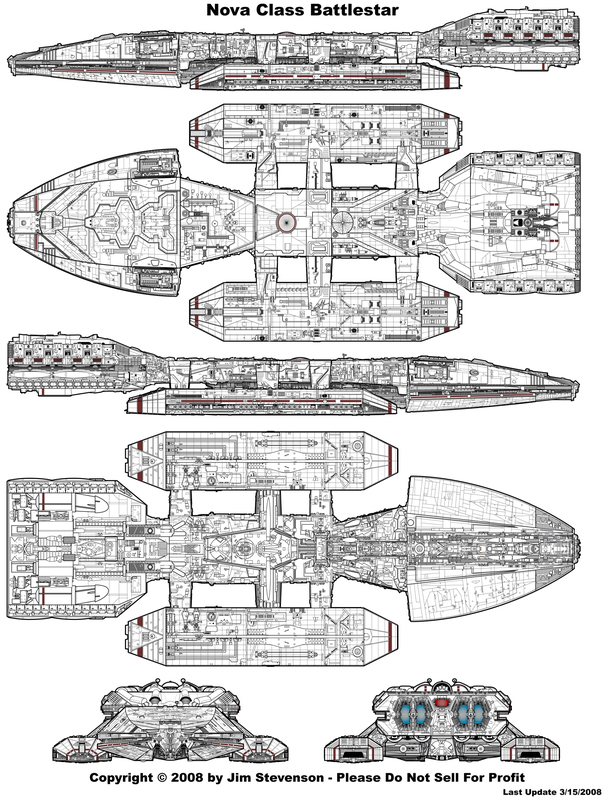 I call it the "Stasi" Class Destroyer - a totally unofficial name, but a name which I feel is appropos to the organization who built these beasts in the show. 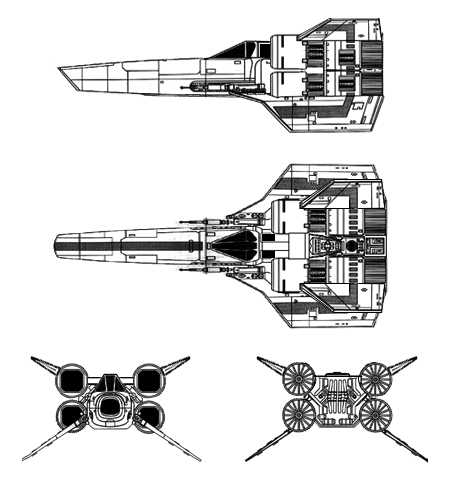 Going to take a break, now, but I will be coming back to address the Cylon A/B Raider in the near future. Keep watching! As promised, I have completed the TOS 6th Millennium Fighter upgrade to be more accurate to the studio filming miniature. Now, on to the Eastern Alliance Destroyer! After trodding through the enormity that was the Star Trek backlog, I am now able to start working on the Battlestar queue for the first time in almost 4 years. A large number of schematics have surfaced in the intervening time - something I had hoped for in waiting so long to do an update. 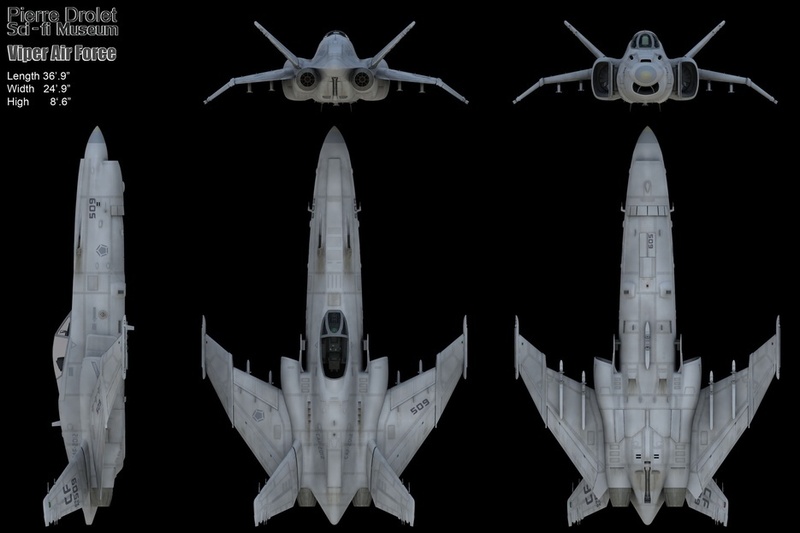 The folks doing the CG models were none too forthcoming with orthogonal diagrams (orthos), but fortunately, many have come to light, including some fantastic fan-made renders. We have several new additions, plus some updates on other designs already in the database. They are all located here. There is now enough photo-study data out there now for these four elusive and popular ships that I should be able to make a good shot at them. More on these later, as they will take some time to build.